This news analysis was written by U.S. News & World report columnist Michael Barone. The "thumpin'" that the Republican Party received last week will make profound changes in policymaking in Washington and in presidential politics. On the policy side, we have already seen something in the nature of parliamentary government: Defense Secretary Donald Rumsfeld lacked the confidence of the new congressional majority and promptly resigned. George W. Bush and the Speaker-to-be Nancy Pelosi both expressed a hitherto indiscernible desire to work together, either out of conviction or out of calculation that it was in their interest to do so. Democrats, having won a small majority in the House and a paper-thin one in the Senate, now visibly share the responsibility for governance, and we can expect for a time less of the scathing rhetoric they routinely deployed. Bush clearly hopes to yoke the Democrats in support of a common changed approach to Iraq. On domestic policy, there will be constant negotiations between congressional leaders and Office of Management and Budget Director Rob Portman, complete with veto threats — much like those between Bill Clinton and Newt Gingrich. One can foresee areas of agreement. Bush will concede a fig-leaved minimum wage. On immigration, House Democrats and a solid Senate majority favor the Bush approach blocked by House Republicans. Advancing alternative fuels is another possibility. Some Democrats want tax-free savings vehicles for lower-paid workers; that sounds a lot like the individual investment accounts Bush proposed for Social Security. On some issues there will be no agreement-tax reform, probably. But big issues have been addressed in the past by divided governments. In the process, Bush is decoupling himself from the Republican Party. House Republicans, with little chance to affect outcomes, will be mostly ignored as House Democrats were under Clinton. Senate Republicans, with the leverage of filibuster threats, will be brought into the loop. But congressional Republicans will be on their own in setting a course for 2008. 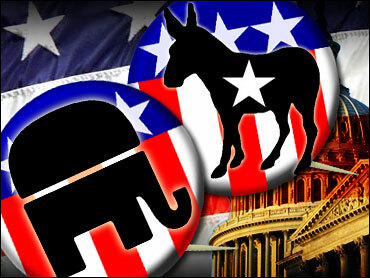 As for presidential politics, we are still in an era of roughly even division between the parties. In the five House elections from 1996 to 2004, both parties received between 46 and 51 percent of the popular vote; final 2006 results are not in, but if they're outside this narrow range, it won't be by much. Bill Clinton tried to create a natural majority for his party but fell short. George W. Bush attempted the same for his party but has also missed the mark. The 2002 and '04 Republican majorities were too small to withstand the winds of 2006. For a dozen years, our politics has been bitterly polarized, dominated by two baby boomer presidents who happen to have personal characteristics that people on the other side of the cultural divide absolutely loathe. Clinton in 1992 and Bush in 2000 both made genuine efforts to run as unifiers, but once in office proved to be dividers. The 2008 cycle will bring a different cast of characters. The leaders in the polls — Rudolph Giuliani, John McCain, and Hillary Rodham Clinton — all are, to varying degrees, in tension with their parties' bases. That suggests that they have the capacity, to varying degrees, to appeal across the cultural divide and pull their parties above the 51 percent ceilings they've been under for the past 10 years. Other potential candidates — Republican Mitt Romney and Democrat Barack Obama — may have similar potential. The culturally conservative Republican base and the vitriolically anti-war Democratic base don't seem to have strong candidates, unless you count Al Gore and John Edwards. For the next two years, political governance and presidential politics seem likely to proceed on two separate tracks, with little relation between them. House and Senate Democratic leaders may want to avoid confrontation on issues that will put their presidential candidates on the defensive. Bush seems less likely to worry about the effect of his decisions on possible Republican nominees. That leaves the initiative on setting a post-Bush agenda to the presidential candidates of both parties. They start off closely matched. Pollster Scott Rasmussen, whose final Senate numbers were spot on, shows Hillary Clinton trailing John McCain 48 to 43 percent and tied 46 to 46 percent with Rudolph Giuliani. Democrats may have thumped Republicans last week, but the political future is very much up for grabs.